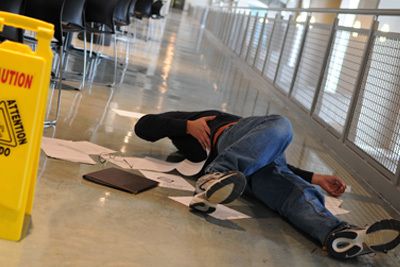 If you slipped or tripped in a public place, calling slip and fall lawyers may not have been your first thought. You might have blamed your own clumsiness or inattention. You might have been too embarrassed to stick around. You might not have realized until later that your injury was serious. If you do have injuries from a slip-and-fall or trip-and-fall accident, the legal team at Stephen Rue & Associates Law Firm can help. Our Kenner, New Orleans and Gretna, Louisiana, slip and fall lawyers can evaluate your premises liability claim against the property owner. We will promptly investigate and aggressively pursue your rightful compensation. Our founding attorney has advocated for injured clients in New Orleans and southern Louisiana for more than 26 years. Stephen Rue and his legal team have brought successful claims against supermarkets, restaurants, retail stores, bars and nightclubs, apartment buildings, and other property owners. You can improve your chances of recovering damages for a slip-and-fall accident if you take certain steps. If possible, take photos or video of the property hazard and get the names of any witnesses. You should seek medical attention even if you think your injuries are minor. You could risk further injury if you have a fracture or ligament damage, and it weakens your injury claim if you delay seeing a doctor. Stephen Rue & Associates Law Firm can send an investigator to document the dangerous condition before it is repaired or covered up. We know how to show that the property owner was negligent in property maintenance or code compliance, or failed to respond to an obvious hazard or complaints from tenants or patrons. 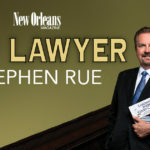 At Stephen Rue & Associates, our team of New Orleans attorneys have years of experience in successfully litigating slip and fall injury cases. Contact us today at 504-529-5000 or 985-871-0008 to learn how we can be of assistance.